Written by DRPI on December 6th, 2016 September 1st, 2017 . I write in sorrow about my co-director, my colleague and my friend. On December 3, 2016, the 24th United Nations International Day of Persons with Disabilities, we marked the death of Disability Rights Promotion International’s (DRPI) inspiration and co-founder Mr. Bengt Lindqvist. Bengt had a singular influence on disability of the 20th and well into the 21st century. His contribution is profound. Not because he had a disability but because he understood social justice in a way that he was able to put it in practice in all the many different lives he had – as a teacher, as a politician, an as an advocate, as a UN Special Rapporteur on Disaiblity, as a father, as a husband, and as a jazz musician. He recognized so clearly and unfailingly that the voices of people with disabilities were the voices we needed to hear and what was said by those voices had to be the only agenda in addressing the denial of rights, and exclusion. He never bent in his resolve to make those voices heard. His influence is legendary and recognized by both the famous and the average person who he met on his journey. He had an impact on every person he met. By profession, Mr. Lindqvist trained and practiced as a language teacher. 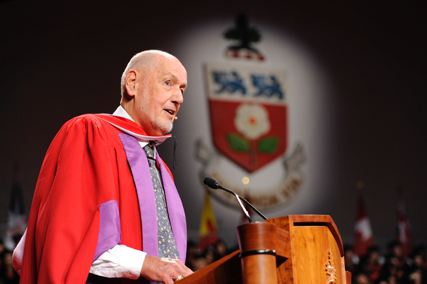 His interest in equality and disability led him to advocate and work on issues of disability policy in the 1960s. In 1982, his passions for politics led to him becoming a Member in Parliament in Sweden, serving as the Minister of Social Service and Family Affairs between 1985 and 1991. Between 1994 and 2003 Mr. Lindqvist served as the United Nations Special Rapporteur on Disability, where he led the implementation of the Standard Rules on the Equalization of Opportunities for Persons with Disabilities, the framework that promoted participation and equality for people with disabilities. Before anyone was thinking of monitoring and the CRPD was not even yet on the political agenda, Bengt held a conference in Almosa, Sweden, in which the 28 participants, including representatives of all the international disability organizations as well as the UN, heralded jurists and others detailed a way to monitor the rights of persons with disabilities. It stands to this day as the model for participatory, holistic monitoring rights – through the voices of persons with disabilities. And the oak tree he planted at that meeting as a symbol for the work that was beginning still grows in the gardens of Almosa getting stronger and bigger each year. Bengt said it was the symbol of what we could achieve and it is. In partnership with me, he co-founded, after that meeting, Disability Rights Promotion International (DRPI), in 2003 in an effort to design a methodology for participatory disability rights monitoring internationally. Bengt has provided dedicated leadership as Co-Director of DRPI in the process of mapping the monitoring of the rights of people with disabilities internationally. His wisdom and knowledge and strength shine through that as they are found in all his struggles for justice. Bengt Lindqvist’s achievements have been recognized by many communities internationally, including receiving honorary doctorates from York University (2013), Stockholm University (1999), and Lund University (2002). I celebrate the life of an inspirational leader, an advocate, a teacher, a powerful international voice in the disability community and beyond, and most importantly I celebrate and say goodbye to a loyal friend and a dear colleague, Mr. Bengt Lindqvist. Together we can honour his memory by working determinedly to gain the justice he so believed in and to hear the voices of those with disabilities. “It is with great shock and sadness that I learn of the great loss of a truly magnificent man and important leader who worked to promote disabled people’s human rights in the world, Mr. Bengt Lindqvist. It is a major loss to us and the movement throughout the world. At the same time, to all his family go our condolences on their great loss. I hope that, over time it will be of consolation for us that Mr. Bengt was a great world leader of disabled people who at all times thought about the people that he was advocating for and representing rather than himself. He has ensured that disabled people are recognized and that they are able to enjoy human rights throughout the world. He contributed in no small way to the world’s disabled people movement and that will be one of the testaments to his leadership. “In Japan, I have initiated two opportunities to pay our respects to Bengt Lindqvist. 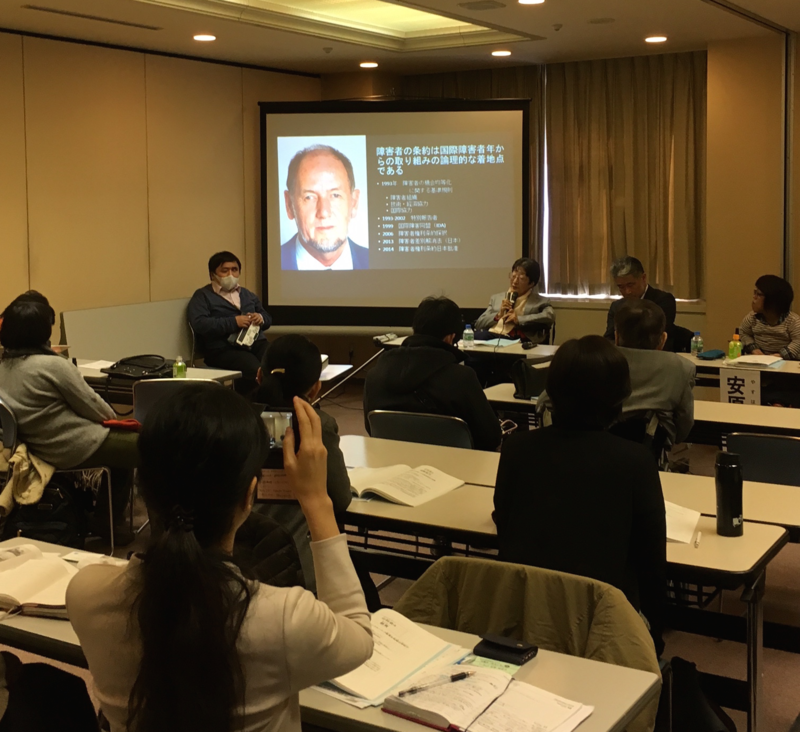 One was the inaugural academic meeting of Japan Association for Disability Law, 10 December 2016 at Kanagawa University in Yokohama. It was a fitting occasion as Bengt was the one who proposed the original CRPD in 1989 at the UN General Assembly, after Prof. Maria Rita Saulle of Italy in 1987. The CRPD of course is one of the major research topics for this new Association, of which I am a board member. Another was the Disability Policy Seminar organized by DPI Japan on 11 December 2016 in Tokyo. 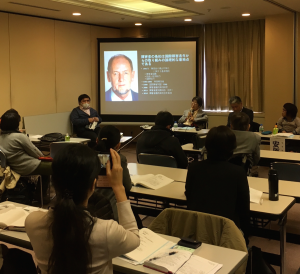 In Japan, we finally implemented the Act on the Elimination of Discrimination against Persons with Disabilities this year and we are keenly aware that we owe much to Bengt. The Act was enacted as part of Japan’s harmonization efforts with the CRPD. I first met Bengt in Vienna in 1992 during the Standard Rules on the Equalization of Opportunities for Persons with Disabilities process, which was the result of the Swedish proposal of 1989. I was with the Disabled Persons Unit of the UN Secretariat and had the honor of working with Bengt. 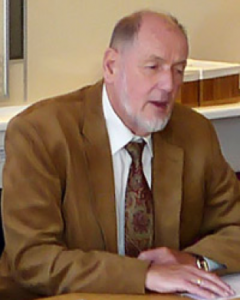 Bengt served as the inaugural Special Rapporteur for the three terms until 2002 during which the International Disability Alliance (IDA) was established from the Standard Rules process. “I was filled with dismay when I learned that Bengt Lindqvist passed away on December 3, 2016. He was one of the most effective and successful fighters for the rights of persons with disabilities at global, European and national level. I met him several times when he was the UN Special Rapporteur on Disability. He is called the “father” of the 1993 UN – Standard Rules on the Equalisation of Opportunities for Persons with Disabilities and his impressive speeches opened many doors at UN – level and attracted many States delegates to follow his claim to reform national disability laws based on the principles of normalisation and equal opportunities for all. Today the Standard Rules are sometimes characterized as outdated due to the fact that the Convention on the Rights of Persons with Disabilities (CRPD) was adopted by the UN General Assembly in 2006. But the Standard Rules are a historic milestone developed at times when many UN –States Parties still took the view that persons with disability primarily suffer under medical deficits. Up to the end of the 20th century disability was seen as a matter of charity and not as a matter of human rights. Bengt wanted to change that. Careful reading of the text of the Standard Rules reveals that he on the one hand had to compromise with the ad – hoc open – ended working group of government experts founded by the UN who, for instance, defended the necessity of special education and small units of sheltered employment for persons with cognitive impairments and high needs. But, on the other hand, the text of the Standard Rules already contains very progressive statements which were picked up, reflected and developed further in 2004 when the first text of the CRPD was drafted. To quote one example: Para. 19 of the Standard Rules reads that the terms “handicap” an “disability” were very often used in an unclear and confusing way: “The terminology reflected a medical and diagnostic approach which ignored the imperfections and deficiencies of the surrounding society.” This sentence already contains the basic idea of para. e of the CRPD Preamble which states that “disability results from the interaction between persons with impairments and attitudinal and environmental barriers.” For Bengt the Standard Rules were an important interim step. From the beginning of his activities he fought for “full citizenship” of all persons with disabilities irrespective of the kind of disability and when I took part in a legal seminar organized by him in Stockholm in 1995 he taught us already that disability is a matter of human rights and that we never should give up working to claim equal human rights for all persons with disabilities.